I suggest you invite two or three or four young wives for tea at your home (if your home is humble and things are cluttered, so much the better!) just to get acquainted. Do not dive in to talk about how tough this work is. Just visit and get acquainted, and the Holy Spirit will take it from there. Once you’re all settled, take a moment to consider these 10 realities of marrying a pastor. 1. It’s an exciting and sometimes scary life. You get to see the work of the Lord up close; you also become the target of the enemy’s work. 2. It will test your relationship with Christ. You will need your own vital, growing, real relationship with the Lord Jesus Christ, and to keep it strong. You will discover that the Lord alone can meet your deepest needs, not your husband. You will often have to bear burdens no one else knows about, which the Lord only can handle. 3. You will need to rely on your "Heavenly Provider". Keep telling yourself “The Lord is my Shepherd.” This reminds your spirit that the church’s finance committee or the administrative committee is not your shepherd, not your source, and not your provider. God is your portion. Rejoice in Him and find your strength in that relationship. 4. You will need to determine your role. Settle (one way or the other) whether the Lord is also calling you into the ministry, whether that calling is as a pastor’s spouse or something more specific. The ministries of spouses tend to be unofficial and unpaid. I hope that’s alright with you. Based on our experience in six churches, your specific roles may vary from place to place. Margaret worked with singles and she taught middle-aged ladies. Sometimes, she ran a television camera and she directed drama groups. Take your time in each church to find your spot. 5. Learn to live on less and to stretch a budget. 6. Be prepared to face the congregation. Be aware that some in the church will have false expectations of you: that you will accompany the pastor on every visit he makes, that you will function as the unpaid assistant pastor who will be equally on call to them 24/7, and that you play the piano and sing. Those are just for starters. Hold your ground, love them, but stay focused. You and your husband must be clear on what you will do or not do. Your husband will find a gentle way to inform the search committee when he is being interviewed. Better they know ahead of time that they are not getting two ministers for the price of one, or a free pianist and soloist, than to bring your family on board and have the church surprised, then disappointed. Do not be afraid to have close friends in the congregation. However, do not be hasty in choosing them. Sometimes, a person who smothers you with friendship early on has an agenda all their own. So, go cautiously into this minefield. And when you settle on a couple of great friends, do not announce it or display that friendship too publicly. Be friendly with everyone in the church. 9. It's okay to be a wife. 10. Expect the Lord to give you opportunities. 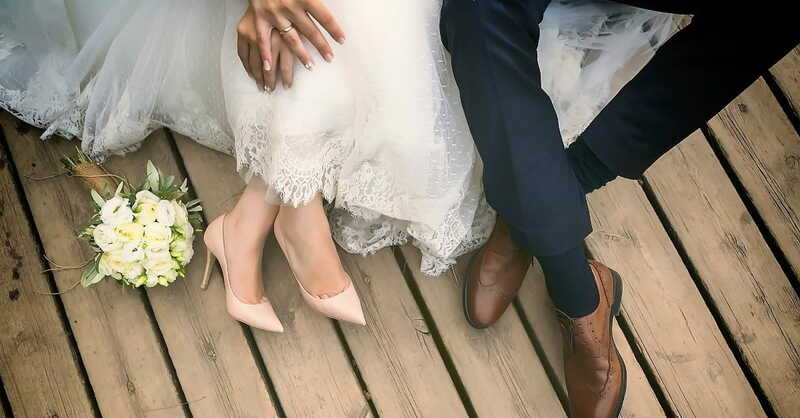 The positive side of being a minister’s bride–and there are so many–is that you will have opportunities most people do not have. Sometimes, churches will send you both to conventions or even to the Holy Land. Also, because you are the minister’s wife, you may be invited to teach the Bible or speak at events which will give you a wider influence. At first, this may seem intimidating. But by staying close to the Father and keeping a strong devotional life going (prayer, Bible study, etc. ), you can rise to this occasion. In doing so, God will grow you and give you an increasingly wider ministry. *Editor's Note: The following is adapted from 10 Things to Know about Marrying a Pastor by Joe McKeever. To read the full article, follow this link.